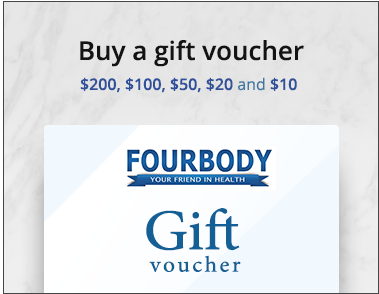 FourBody delivers worldwide & across Australia. We deliver to any address - including PO Boxes. An e-mail confirmation is sent to your e-mail address after placing your order. Please keep this e-mail as proof of your purchase. Once the order has been sent, an e-mail is sent with your tracking number. Note: Delivery is between Monday and Friday. It is the recipeint's responsibility to ensure that you or someone is able to receive your items at the delivery address you specify. If no one is able to receive the items at the time of delivery a calling card will be left. It is the recipient's responsibility to call the number on the calling card to organize another pick up or delivery time. Free delivery (Australia wide) for orders over $180 and weighing less than 5Kgs. For orders under $180 delivery costs for most orders will range from around $6 to $12 or more depending on whether you choose express or regular delivery and the weight of the order. Please log-in so that the system may automatically calculate the delivery cost based on your delivery address. Delivery costs vary depending on the country the parcel is being delivered to and the delivery method chosen. 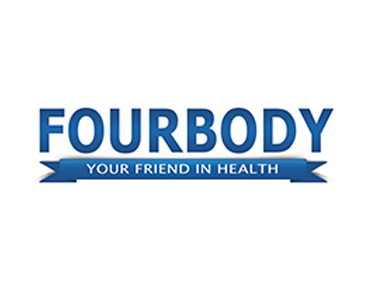 FourBody uses three main delivery methods: Air Mail, Express Post international and Express courier International. Please log-in so that the system may automatically calculate the delivery cost based on your delivery address. IMPORTANT: Please check that all items received are what you have ordered. If you have received an incorrect item DO NOT OPEN IT. We will not accept any returns or provide refunds of items that have been opened, tampered with,or not in their original condition. If you receive a damaged item please contact us within 4 days of delivery and do not throw it away as we will require proof that the item has been damaged (for example: images e-mailed to us of the damaged item). If you have not purchased insurance with us you will not be covered for any damaged caused to items.